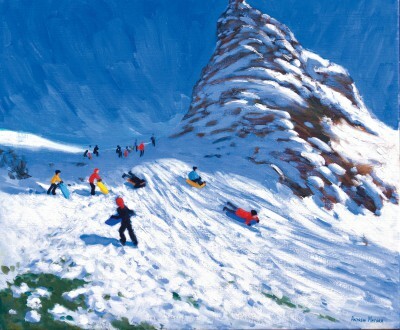 Right now we are waiting for new Andrew MACARA Art to arrive at the gallery. In the meantime, here is a selection of the artist's archived art work which has featured at Red Rag Art Gallery. If you wish to register to receive updates and alerts when new art work from Andrew MACARA arrives select this link. 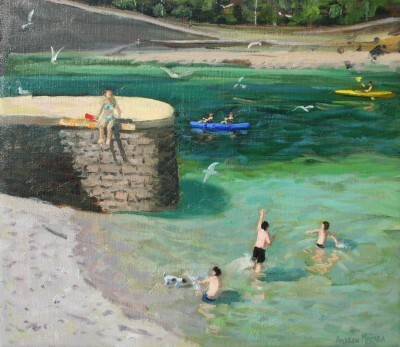 Andrew Macara was born in Derbyshire in 1944. Although Andrew Macara studied contemporary modern British Art for a short period with Leonard Fuller at the St Ives School of Painting he considers himself a self taught artist. 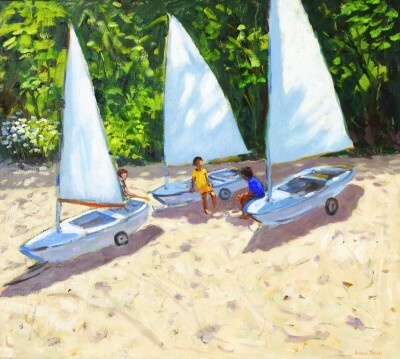 Andrew Macara has undertaken several painting commissions for Public and Private Modern British Art collectors. These include: a series of contemporary paintings for Sir Anthony and Lady Bamford; Scott Bader Company; New Parliamentary Building; Westminster and Hilton Hotel Group for their corporate headquarters. 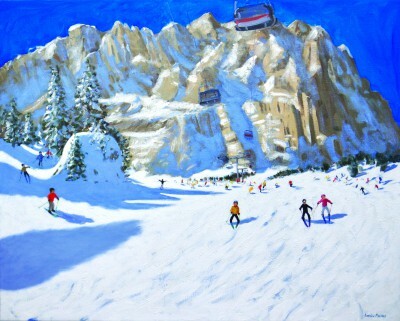 Andrew Macara has won many art awards. These include: Sir Huw Weldon, Royal Academy of Art Summer Exhibition, Brian Sewell, Gileas Auty and Lord Palumbos choice, Discerning Eye Exhibition. Andrew was awarded the coveted De Lazlo art medal in 1985. And, Macara's latest art award was at the RBA in 2005. 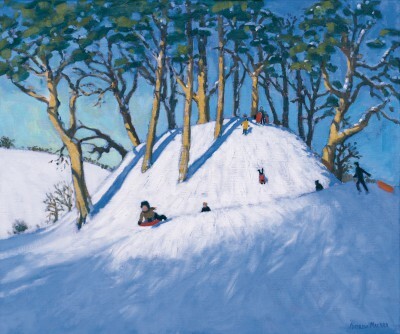 Andrew Macara travels extensively gathering images for paintings from around the world. 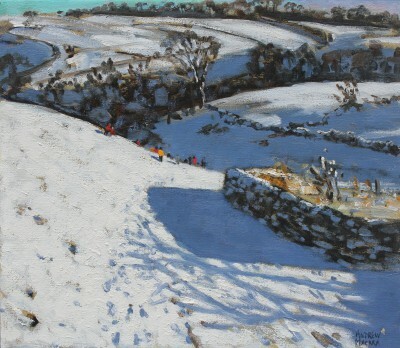 But his native Derbyshire continues to feature in many paintings - particularly the more recent Winter scenes. 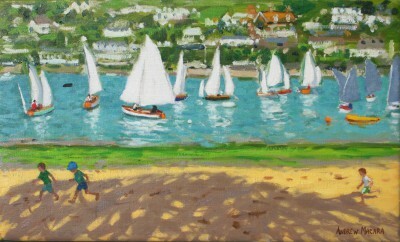 Other subjects with strong demand are Andrew's British seaside paintings. 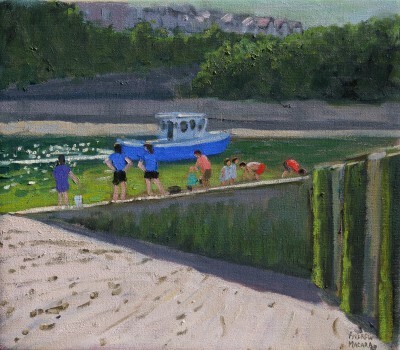 Andrew Macara is now established as a very collectible contemporary figurative artist. 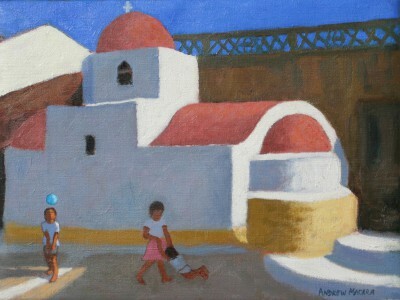 His contemporary paintings are always in demand and much sought after. And, over the years his paintings have proved to be a good British Art Investment. 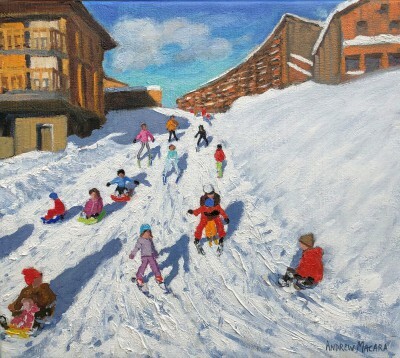 In addition to Red Rag British Art Gallery Andrew Macara art work has been exhibited at other leading British Art Galleries. 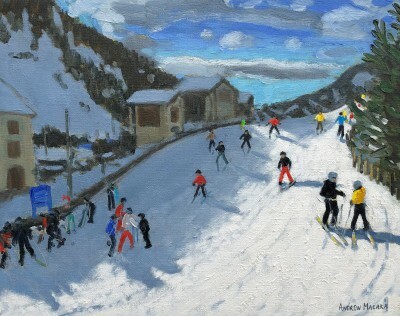 Each painting at Red Rag is sourced from the Andrew Macara artist studio and like all Red Rag British art and Contemporary art it can be shipped worldwide.